By Carolyn Whitzman, University of Melbourne. Three shocking incidents, in which three children and one adult died, have dominated the news in Melbourne earlier this year. On Easter Sunday, Indiana and Savannah Mihayo were murdered in their grandparents' home in Watsonia. In April, Fiona Warzywoda was murdered on a busy Sunshine shopping street in front of her son. And in February, Luke Batty was murdered on a cricket field in Mornington. These tragedies have three things in common. First, the alleged murderers appear to be men who were intimate partners or fathers of the victims. Second, the killings grabbed public attention at least in part because two of the incidents happened in public, instead of the “privacy” of someone’s home, and all involved children. Third, the families lived in outer suburban “struggle towns”. These murders have once again thrust the often hidden issue of domestic violence to the fore. In Australia, intimate partner violence is the biggest health risk to women aged 15 to 44. In the first national survey of violence against women in Australia, almost one in four women who had ever been married or in a de facto relationship experienced violence at some time in that relationship. Of women who had experienced partner violence since the age of 15, 36% per cent reported violence during pregnancy; 18% experienced domestic violence for the first time while pregnant. If strangers committed this violence, the public and politicians would probably be demanding tougher sentencing, tighter parole, more police, more CCTV. But it would be far too costly to “lock up and throw away the key” every man who has ever threatened his wife and children – that would be hundreds of thousands of men across Australia. It would also be unrealistic to deny every father with a history of violence any access to their children. Unlike the stereotype of criminal violence being concentrated in the big bad central city, rural areas and outer suburbs have higher rates of domestic violence in every Australian state. Luke Batty was murdered in an urban fringe area with one of the highest police-reported rates of domestic violence in Victoria. Other urban fringe areas such as Whittlesea in Melbourne’s northern suburbs record much higher rates than other parts of the city. Outer suburbs concentrate three types of risk. Women who are pregnant or have young children are most at risk from male partners and often find it most difficult to escape violence. While housing stress is no excuse for violence, it does exacerbate family tensions and lack of affordable housing makes it more difficult for women to get away from abusers. And outer suburbs are critically lacking in the kinds of social support services – health, legal, emergency shelters, family counselling – that might make a life-and-death difference. Yet, according to several recent reports, federal funding for these services – housing in particular – has been cut. Federal funding under a homelessness prevention initiative (most homeless women are victims of violence) was due to run out in June. A recent report on unmet needs of women who are homeless as a result of domestic violence identified legal aid shortages in many places, including Mornington. Funding for risk assessment panels, which might help identify the most concerning cases of men committing domestic violence, is also uncertain. According to international research, wrap-around services for women and children at risk of violence from the men in their lives, and for men seeking help for their violence problems, can save lives. 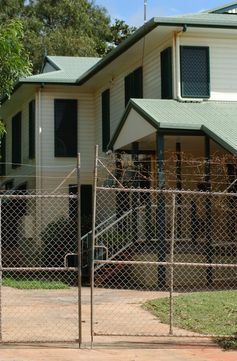 If local schools and health services identify violence and risks of further violence; if legal aid, specialised court services and counselling (including the capacity for supervised visits with children) can be provided conveniently and compassionately; if emergency housing and housing assistance allow women who have pressed charges to stay at home with additional security or move to a secure location without overly disrupting their children’s lives, then there is a better chance that domestic violence will not lead to further tragedy. At present, we are allowing very high rates of growth in outer suburbs, without the critical infrastructure people need to live healthy and safe lives. Schools, health and social services, and emergency housing need to be provided, just as much as water, sewers, roads and rubbish collection. In residential areas that are already service-rich, more affordable housing needs to be provided so that poorly serviced outer suburbs are not the only choice for young families. Co-ordination of service planning with land use and transport planning has never been more necessary. While these measures are not “quick-fix” solutions to a complex and deep-set health and social problem, they are needed in the long term to prevent unnecessary death and suffering. Carolyn Whitzman has received funding from the Australian Research Council on preventing violence through integrated local planning.